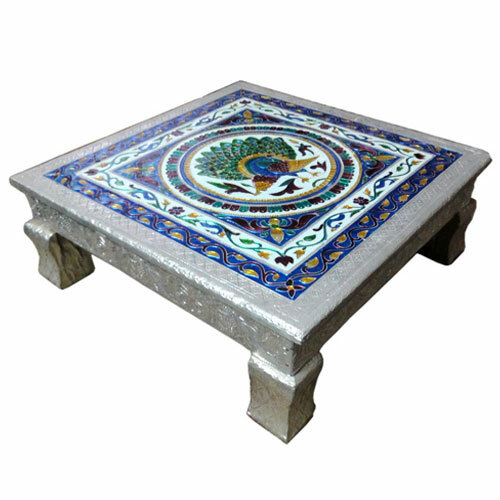 Chowki / Seat-S (Meenakari)Dimension: 10 x 10 Inches Approx. It is considered very au..
Dimension: 10 x 10 Inches Approx. It is considered very auspicious to place God / Goddesses statues, Pooja Thali, Kalash etc. It can be placed anywhere- temple, home, car, office or factory. This kind of devotional masterpiece is rare in Meenakari craftsmanship.